When you are planning to buy your first home and wondering how to get a mortgage, the process can seem rather overwhelming. Cheer up. There is hope. 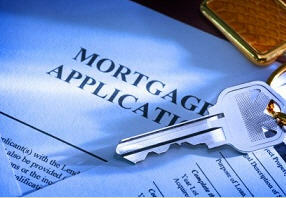 Getting a first time buyer mortgage is not as difficult as it may seem. There is plenty of local, state, and federal assistance available to help you every step of the way. The very first item to consider is that you will need to save up a sum of money to be used as a down payment on the home you plan to buy. There is assistance available in every state, as well as at the local level. The days of zero down are pretty much gone, and a down payment is going to be needed in order to qualify for mortgage approval, whether you’re a first time buyer or not. Most states offer some form of down payment grants. To make this information readily available, we’ve created a directory that includes direct contact information for every program that is available in every state. Next of the list of items that you’ll need in order to get approved for a first time buyer mortgage is a decent credit score. 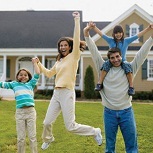 MyFico has some good information on how to raise your credit score so that you’ll qualify for that first mortgage. The Federal Reserve, which oversees the banking industry, also has some information on how to improve your credit score. Another item that you need to be aware of is a requirement of a two year period working at the same job. Lenders realize that a new job may not be permanent, for a variety of reasons. If you’ve worked at the same job for two years or longer, it’s much more likely to be a stable, dependable source of income that can be relied on to provide the income which will be making the future mortgage payments. For those people who are self-employed, your tax returns will need to show two years worth of sufficient income from the same field of business. 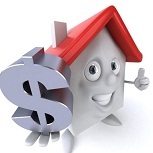 The actual process of getting approved is really very simple once the above items have been provided to the lender. The stronger your credit score, the greater your down payment, the higher your income, the lower your overall debt, the easier it will be to get approved for a first time buyer mortgage. The best strategy is to work on improving all these items before you actually contact a lender. If you’ve only been at your current job for 18 months, you’ll need to wait another 6 months. If your credit score is only 590, work on raising it to over 620, at a minimum. If your personal debt level is high, make double payments for a while to reduce the outstanding balances. all of these items should be worked on before applying for your first mortgage. 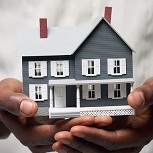 However, there is no reason to wait with regards to contacting the local and state agencies in your area that offer programs to help you come up with the down payment. On the contrary, many of these entities that provide assistance are allocated a set amount of funds per year. Once those funds have run out, they don’t get replenished until the next yearly cycle begins. Many programs can and do run out of funds. 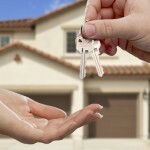 So it will be in your best interest to seek out down payment assistance sooner rather than later. If you apply the above strategies, there will be no reason why you cannot obtain a mortgage loan the very first time you apply for one! Lastly, if you are curious to know how much your mortgage payments will be, head on over to our handy mortgage payment calculator and you can get instant answers.